Just wanted to give you all a sneak peek at my outfit today. I will post it in full tomorrow. I haven’t had a chance to show you guys the faux fur jacket I received for Christmas. Let’s just say, I love it!! 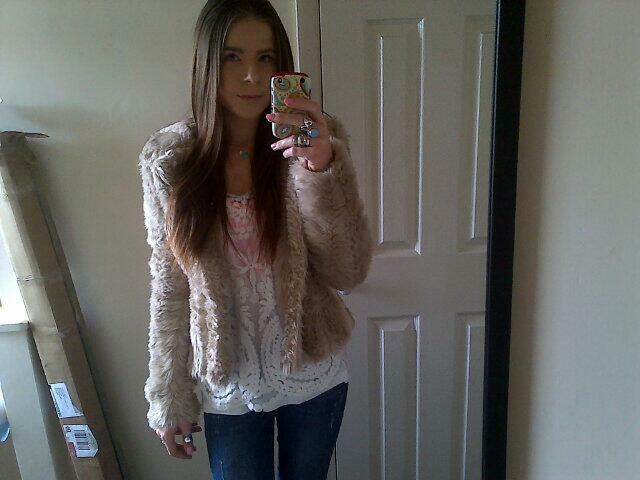 Love how the fur jacket and that lacy top look together. Very modern hippie.